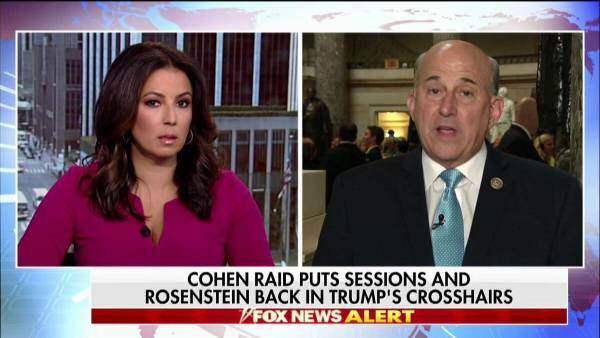 Wednesday morning Rep Louie Gohmert appeared on Fox News to discuss Mueller and Rosenstein and their KGB-style thuggery. Gohmert said not only does Mueller need to be fired, he needs to be investigated for his role in the Uranium One scandal. When asked if Mueller deserves to be fired, Rep Gohmert (R-TX) did not hold back. “There is nobody in America that needs firing more than Mueller,” Gohmert said. “He needs not only to be fired, he needs to be investigated for his part in helping the Clinton Foundation make $145 million from the sale of Uranium when nobody knew more than Mueller did about the investigation, about the Russian efforts to get our Uranium. He participated. He needs to be the target, not investigating,” Gohmert continued. Gohmert also called for Rosenstein to be fired and investigated. “We need the appointment of a second counsel to investigate Comey and his leaks, Mueller and Rosentein,” Gohmert concluded. Mueller, Comey and Rosenstein are all linked to the Uranium One scandal. That’s why Rosenstein quickly appointed Mueller to special counsel. Mueller is not only obstructing a full investigation into his own crimes with the Clinton Foundation, he is also working to remove a duly elected president. The post Rep Gohmert: Mueller Needs to be Fired and Investigated For His Part in Helping Clinton Foundation Make $145 Million in Uranium One Deal (VIDEO) appeared first on The Gateway Pundit.